- Providing professional domestic & commercial carpet & rug cleaning services throughout Surry, Kent, East Sussex & West Sussex! 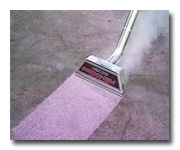 We use hot water extraction machines (sometimes known as steam cleaning.) This method is recommended by most carpet manufacturers. Registered Office: 7, Turneys Drive, Wolverton Mill, Milton Keynes, Buckinghamshire, MK12 5GY.